It is amazing that so many decades after J.R.R. Tolkien’s death that he still has “new” books being released. Thankfully, his son Christopher Tolkien has gone through manuscripts and has released material. 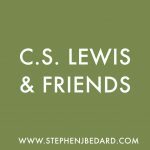 Christopher expects Beren and Luthien to be his final book. The story of Luthien and Beren is one of my favourite stories by Tolkien. I’m familiar with it from the Silmarillion. The story takes place long before the events of the Hobbit or Lord of the Rings. In fact, it takes place at a time when Sauron was not the top bad guy, but was a lieutenant of Morgoth. 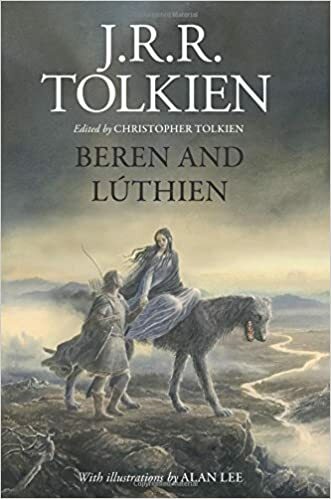 The story that I’m familiar with is the love story between Luthien, whose father is an elf and mother is one of the gods, and Beren, who is a human. There are a number of similarities between their love and that of Aragorn and Arwen in Lord of the Rings. Luthien’s father, being against his daughter’s love for a human, gives Beren a quest that is intended to lead to either his refusal or death. He is to retrieve a silmaril from the crown of Morgoth. It is a great story but I wasn’t sure how it would be made into a full length book. 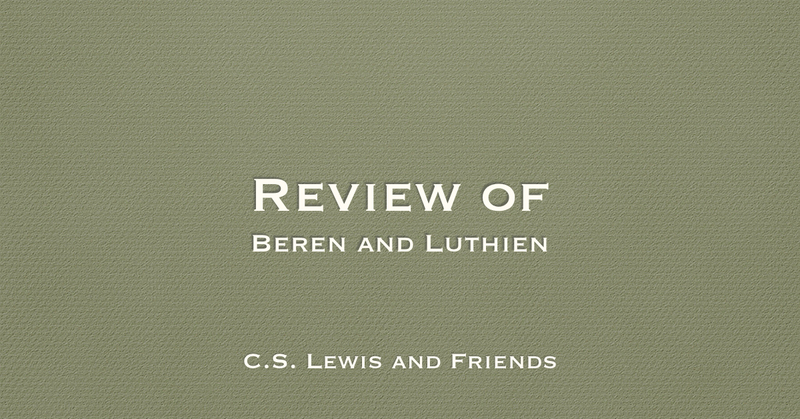 It ended up that Beren and Luthien was not what I expected. Instead of just extending the story, it is a compilation of different versions of the story, demonstrating how the tale evolved in Tolkien’s mind. In the original version, Beren is not a human but is an elf. He is actually a Noldor, which Tolkien originally called gnomes. Don’t think of a garden gnome, Beren was always meant to be a fearsome warrior. Also, the character that would eventually become Sauron, was originally an evil cat that ruled other evil cats. In addition to this and the traditional version, the story is also given in verse. Tolkien never finished that version of it but it is neat to read what he did complete. As a Tolkien fan, I really enjoyed Beren and Luthien. It is worth it for anyone who appreciates Tolkien’s mythology.